Tänk is an independent, non-partisan Finnish think tank. We work to support and improve the success and welfare of the Finnish society at large. Tänk takes a pragmatic, fact-based approach to solving societal challenges. Tänk takes a pragmatic, fact-based approach to solving societal challenges. Our policy recommendations are founded on thorough analytical research and the latest results of the international scientific and expert community. We are proud to put these results and suggestions forward to the top decision-makers and key fora. Tänk leads, participates and partners. We contribute to debates independently but also work in cooperation with selected partners on topical studies, research and analysis. Founded in 2011, we are inspired by the transparent, articulate and analysis-based Anglo-American think tank tradition, where independence is safeguarded through donations and voluntary contributions. All five Tänk members are social scientists – four economists and one social psychologist. We are Finnish by birth, but our professional and academic backgrounds and over thirty years of combined experience of living outside of our native country brings an international perspective to everything we do. Tänk members can be invited to speak on their areas of expertise at external events. Amongst our members, all fully fluent in at least Finnish and English, also Swedish, French, German, Italian, Polish, Portuguese, Spanish, Chinese and Arabic are spoken. You can contact us by e-mail: firstname@thinktaenk.fi. Markus is Managing Director at Tänk and participates actively in research activities. Before founding Tänk, he accumulated a decade of professional experience in communications, marketing and business development in both Finland and Sweden, providing strategic advice to Nordic and multinational blue-chip companies. He has always played an active role in civil society organisations focusing on health and welfare and has covered a variety of topics as a freelance journalist for main business newspapers in Finland. Markus has graduated with a Master’s degree in Economics from the University of Helsinki and has also obtained an academic certification in Entrepreneurship from the Helsinki School of Economics. Markus’ intellectual interests focus on the processes of decision-making; dynamics between individuals and the societies they inhabit; and the measurement and enhancement of relative welfare. Markus took the initiative to found Tänk as he believes that an independent expert think tank of highest international standard could provide the Finnish policy-making and public debate arena with the fresh, informed perspectives it needs. Mikko is Director of Research at Tänk. He has previously worked for the OECD, the European Central Bank and Roubini Global Economics, producing high-level econometric and policy analysis on macroeconomics and the global political economy, with special expertise in the Eurozone and the Nordic countries. A selected member of the Advisory Panel for Sustainable Economic Policy at the Finnish Innovation Fund SITRA (reporting to the Parliament), Mikko is a popular lecturer who regularly presents and facilitates discussions on economic topics of current relevance. He holds a Masters’ degree in Economics from the University of Helsinki and a Master’s degree in Political Economy from London School of Economics and is currently preparing his PhD thesis. Mikko’s areas of interest include behavioural economics, new growh theories and social science approaches to welfare and the elements of good life. Mikko appreciates Tänk’s innovative, interdisciplinary approach and independence that allow for new ways to look for solutions to social problems. Tiina is a Tänk Fellow. She did her PhD at the University of Lausanne, Switzerland, focusing on attitudes towards the welfare state. 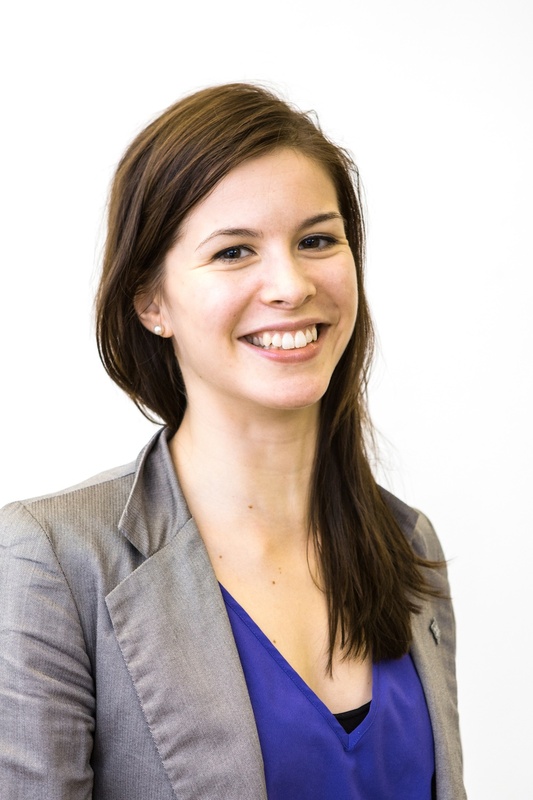 Currently Tiina works as an Advisor at the Behavioural Insights Team in London, looking at ways to improve public policy and services through the application of psychology and behavioural science. Previously, Tiina worked as the Advocacy Director at Tänk. Tiina was selected a Junior Fellow at Finnish Business and Policy Forum and has extensive work experience in academia in both Finland and Switzerland and the NGO field with UNICEF Finland. Tiina is an analytical and pragmatic thinker. She is interested in a wide range of policy areas and in understanding how citizens’ opinions and behaviours differ across countries and policy contexts. Tiina believes that Tänk’s multidisciplinary team and extensive networks offer an ideal environment to answer questions about complex social issues. Noora is a Tänk Fellow. She has over a decade of highly international professional experience in finance, development and diplomacy from the World Bank, the European Investment Bank and the private sector in top London investment banks and industry, covering five continents. A certified advisor in corporate finance, she is also a Fellow of the Royal Society of Arts in the UK and advises the European Commission, the World Economic Forum and the United Nations Environmental Programme on the nexus of finance and sustainability. Noora has a Master’s degree from the University of Cambridge in European Economics, Politics and Law where she is currently preparing her Ph.D. thesis on environmentally and socially responsible models for early-stage funding. Noora is interested in approaches to more sustainable and inclusive growth, international relations, the dialogue and collaboration between the public and private sectors and institutional solutions for enhancing welfare in developed and developing economies. She believes that Tänk brings together a new generation of Finnish top thinkers and provides a channel to voice fresh analytical expert opinions on issues that matter. Ohto is a Tänk Fellow. He holds a PhD in Economics from the European University Institute (EUI), Florence, Italy. Ohto currently works at the Finnish Labour Institute for Economic Research as a Senior Researcher, researching issues surrounding income inequality and economic linkages between education and the labour market. His interests also cover alternative economic theories and welfare. Ohto is a sought-after commentator on economic and policy topics, having featured in the national media on several occasions, most recently asked to opine on a key policy paper by the Prime Minister’s Office and lecture at the Finnish Innovation Fund with Mikko. He wants to contribute through Tänk as he believes that the public debate in Finland needs truly independent expert interventions and that Tänk represents a new type of actor suited for collaboration with a variety of counterparts. Marika is co-ordinator at Tänk. Her job is to see that thinks happen on time and the web site is up to date. She also participates on Tänk’s public relations management and communication.Marika has previously worked with business consulting and Helsinki University alumni and community relations. Marika holds Masters degree on Social Sciences. She is a true generalist having studied a vide range of subjects from Political History to Sociology and Strategy in National Defense University. She is interested in nudge policy, stakeholder relationship and international and national security questions. Marika thinks that being member in Tänk is affective way to influence on Finnish society.